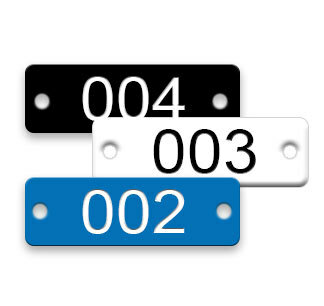 Long-lasting, highly visible plastic tags are consecutively numbered and ready to ship! They are perfect for any application where numbered- and color-coding are required. Two holes are ready to attach with screws or other fasteners. Request a Quote for number sequences not shown above.